Leesburg, Va. — When the Loudoun County High School boys basketball team hosted Dominion High School on February 11, it was more than just a rubber match. 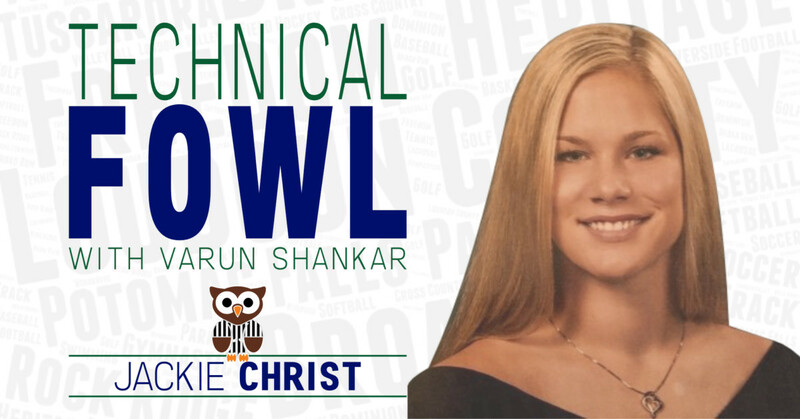 Sure, the game would decide the season-long victor – as the teams split their regular season match ups – but at stake was also a chance to advance in the Dulles District tournament. 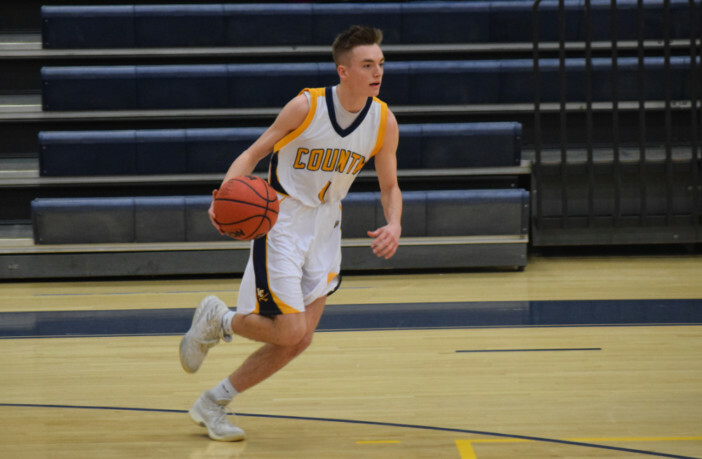 So in the win-or-go-home game, Loudoun County junior guard Matt Anderson poured in a game-high 27 points to make sure the Raiders came out on top of the Titans, 62-55. After Dominion jumped out to a 10-3 lead to open the game, Anderson went on a rampage, scoring 19 points over the remainder of the half, leading the Raiders on a 24-5 run to put Loudoun County in the driver’s seat. Coming out of the half, the Titans picked up the pressure defensively and turned to their big men on offense to trim the Raiders’ lead to 45-39. 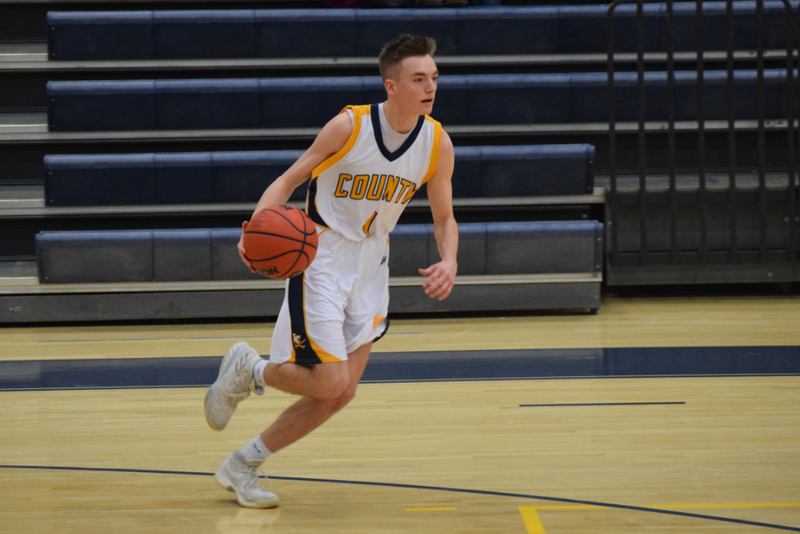 Having led for the entire second and third quarters, Loudoun County saw its first lead change with about six minutes left in the fourth quarter when Dominion junior forward Mark Schroeder knocked down a free throw on an and-one to put the Titans up, 46-45. Anderson, however, had an immediate answer as he ran down court and drilled a three to put the Raiders back up. Dominion evened things up on the very next possession when senior forward Michael Discher scored on a contested lay-up. Out of the following time out, Alexander – who turned in a 12-point, 11-rebound double-double – put the Raiders back up two, and they never looked back. The Raiders also got double-digit scoring efforts from senior forward Derek McCandless and sophomore shooting guard Caleb Rexroad, who came into the game with a sore leg. With the win, No. 4 Loudoun County will travel to No. 1 Loudoun Valley on February 13 to tango with the Vikings in a Dulles District semifinal.